This guy is one of the most important people in my life. He's my hair stylist. Here's a true story about my relationship with Jason. Years ago, maybe so much as a decade now, Jason was low key entertaining the idea of moving to Vegas. As is often the case with stylists and their clients, he and I talk a lot when he's coiffing my 'fure. So when he mentioned the notion of leaving Pittsburgh, desperation filled my eyes and I told him with more shrill in my tone than I care to admit that he couldn't leave me. My mind started to limp through some elementary math to figure out if I could afford to fly Jason home every 8-10 weeks. I couldn't. Luckily for me, Jason rooted himself in Pittsburgh and we've been in each others lives every 5-8 weeks ever since. This onion of a human has so many layers. He started adulthood in the Air Force with plans to work on planes. Eventually, life pivoted on him and by a twist of fate (and a girlfriend) he decided to enroll in a local school for hair. He quickly learned that doing people's hair was something he enjoyed. And he was really good at it. 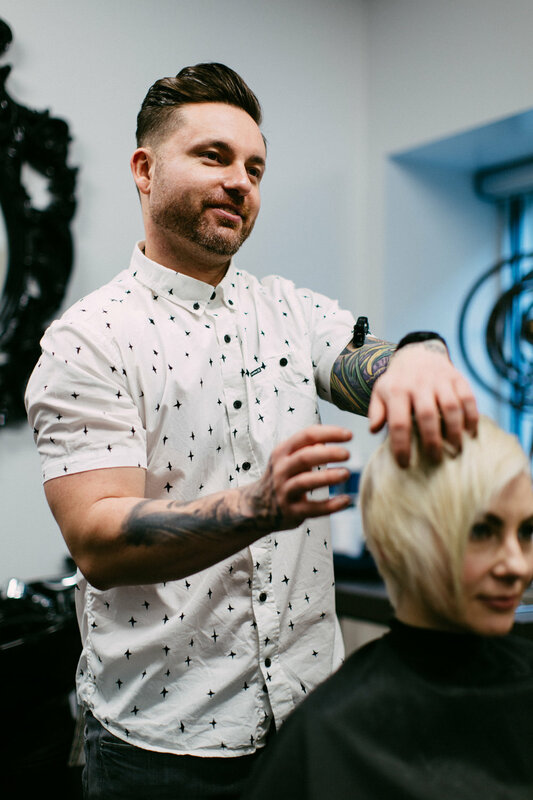 After school, Jason joined a local salon in the South Hills and started to find his stride. Through the salon, he had the opportunity to travel to Italy to study the latest color techniques, and it shows. His colors are exquisite. Always. 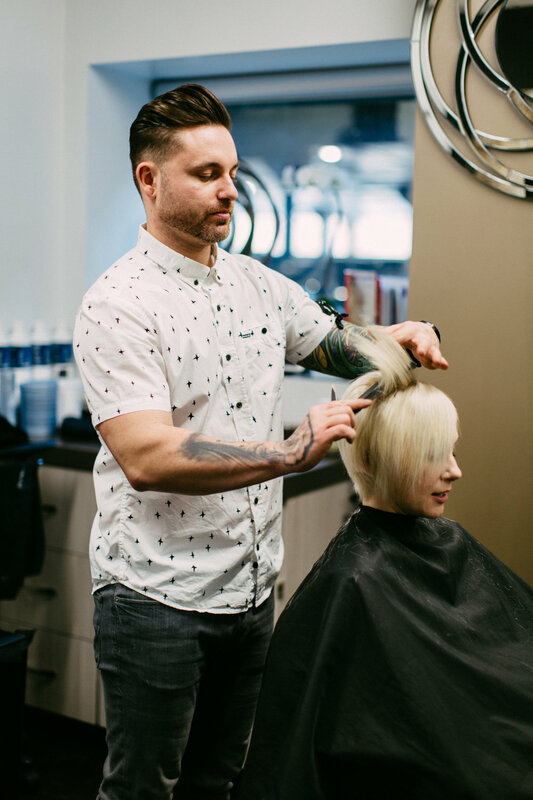 Jason sharpened his skills over the course of 15 years at the same salon. But after so much time in one place, he started to have an urge he just couldn't shake. Did he want his own salon? Was it worth the risk? Could he be just as happy if he stayed put? After a lot of consideration, he left a secure position where he was respected and set up for long-term success so that he could open his own business. That was more than a year ago. Jason and I talked about the day his business would open every time we saw each other during the last 15 months. So to finally see it happening... I just cannot express how proud I am of him. It takes guts to do what Jason did. Not to mention tenacity and faith in yourself. I envy that in him. Jason has been part of every major life event I've experienced. Two weeks before my wedding I made him chop my hair. With a lock of it in his hands and scissors poised, he paused and said, "Are you sure you want me to do this?" I never doubted he would make me look super chic. He has helped me project a professional image (but always with a little edge) for every job I've ever had in Pittsburgh. He kept my hair luscious throughout my pregnancy. And eased my anxiety (and gave me my first short 'do) when ropes of my hair fell out postpartum. The simple way to describe my relationship with Jason is hair stylist. But he's so much more than that to me. He's my friend. A support system. And an inspiration. Visit Parlor|Six at Sola Salon in The Galleria. Jason is The Best stylist in Pittsburgh, hands down. Jason is working on a website launch soon. 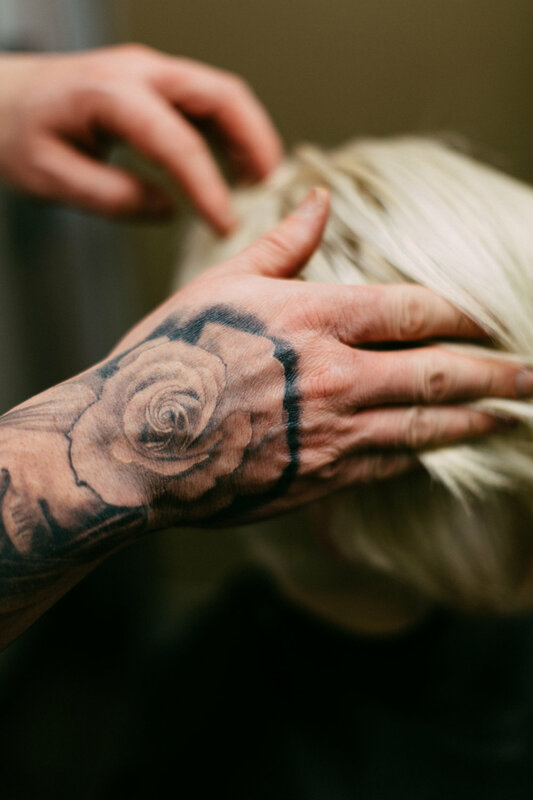 But in the meantime, follow Parlor|Six on Instagram to get a glimpse of his beautiful clients!